Why is friendship so important? Friendship helps you feel emotionally connected. When you are friends with your spouse, you tend to share, care, have conversations and have fun together. You may do recreational activities or simply spend time together. Most people will leave a marriage not because of abuse or infidelity, but because they feel emotionally disconnected, which leads to feeling unloved. If you are friends with your spouse – best friends – chances are, you will not feel disconnected. Carve out more time for just the two of you to do something you both like. Bonus points if it is recreational, like taking a walk or bike ride through the neighborhood, hiking or other outing. Go out to dinner, “just because.” Read out-loud to each other, or engage in conversation and people watching from a park bench. Bonus points if you do something new or different. Bonus points for smiling and laughing when you spend time together. Do not use the excuse that you are too busy to spend, say, an hour a week together or even 20 minutes completely focused on each other. Couples who are too busy for each and give each other the emotional scraps or leftovers from a busy day are doing themselves a disservice. If you regularly spend time together, enjoy each other’s company or have “date nights” once a week, congratulations! Those who do not continuously nurture their relationships often end up drifting apart and are no longer friends. Make your friendship with each other a priority. You won’t be disappointed. 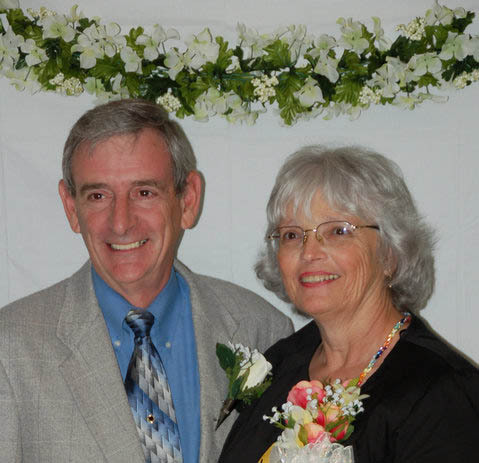 Lynn M. Griesemer is a Marriage Coach and has been happily married for over 25 years. She helps struggling marriages improve and good marriages become great. www.marriagecoachlynn.com. Facebook: Marriage Coach Lynn. Be present when you converse with each other. Stop what you’re doing, look into your spouse’s eyes, listen and care. Improving upon your love means eliminating distractions. Set a date for an outing to take place within the next two weeks. It can be 30 minutes or a few hours. Do something fun, recreational, new or different. Examples include taking a bike ride or walk, attending a concert, sitting quietly and talking. Take advantage of your natural surroundings by watching a sunset at the beach or over the mountains. Consider scheduling a regular “date night” or “together time” once a week or at least twice a month. Errands become more interesting and fun if the two of you go together. Holiday shopping or a trip to the hardware store is more enjoyable when you do it together.